We export the complete range of 100% cotton yarn from India to all international markets – supplying up to 1000 tons of cotton yarn, including carded and combed variety from count range 21 s to 60 s. This precision and value in our delivery is made possible by a professional workforce –which bring valuable qualities to the table – rich global experience, keen market insight and clear understanding of customer needs. Our long and trusted collaboration with spinning mills and an uncompromising eye on quality lend us a competitive edge. Our yarns are made from the best quality fibre in the most advanced spinning mills. The process of mercerization is further used to strengthen our cotton yarns. Highly water-absorbent, soft, and obtained from authentic Indian cotton, our cotton yarn is competitively priced and gives the buyer the best value for money. Perfect finishing, high tensile strength, and soft feel makes it ideal for use across production of textiles, sewing, knitting, crocheting, weaving and embroidery. Indian yarn is mainly exported to countries like China, Korea, Bangladesh, Egypt, Taiwan, Hong Kong, Turkey, Japan, Israel, European Union and Mauritius. China itself has a large yarn manufacturing base but has a very large demand for Indian yarn to meet its domestic needs. Our yarns are made from the best quality fibre and specially selected cotton, which are mercerized for a stronger product. It is conditioned for superior lustre, effective dye absorption and zero-contamination. As an eco-friendly and pure product, cotton yarn finds great avenues for use across knitting and weaving purpose of bed linen, home furnishing, table & kitchen linen, knitted fabrics, woven fabrics, kids wear, medical fabrics and the like. Carded yarn is obtained from genuine cotton, offered in raw white & dyed forms and is perfect for weaving purposes. The spinning mills that we partner with have state-of-the-art machines that produce a wide range of cotton yarns. 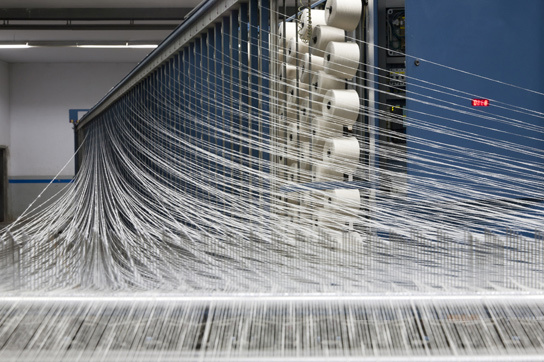 We can supply up to 1000 tons per month of cotton yarn – including carded and combed. Combed yarn is offered in raw white and dyed forms and is ergonomically fabricated using 100% organic cotton. This optimum quality yarnis generally packed in lots of X bundles per packet, where 1X40FCL can carry close to 20 tons of yarn. * Internationally accepted Cotton yarn, both combed and carded qualities from 20’s to 60’s counts. * Contamination free cotton yarn of all counts & qualities. * Organic cotton yarn for high end users. Testing is carried out at every stage of sourcing of raw material, production and packing according to the most authoritative standards and using the latest testing equipment like H.V.I UT-4 and USTER-CLASSIMAT. Our cotton yarn is manufactured and tested as per a stringent benchmark, and ensures the buyers of a completely reliable standard, lot after lot.